Do you shop your daily need and other items from big Bazaar? Here is a deal for you. Big Bazaar is offering Rs 200 off Voucher on Rs 1000 or more. You just have to enter your mobile number, name, email ID to get your unique code. So, grab this awesome deal now, as it is valid till 14th Feb 2018 at 9:59 pm. How to Get Rs 200 off Voucher on Rs 1000 or more from Big Bazaar? Shopclues is here with another great offer in collaboration with axis bank . Choose your favourite products and buy it using Axis Pay UPI as payment mode to get Rs 50 as cashback in your account . Grab this offer Now..!! 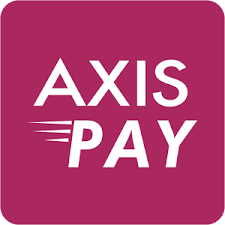 How to get Flat Rs 50 Cashback on minimum purchase of Rs 399 via Axis Pay UPI ? Freecharge AXIS100 – 50% cashback on First Recharge/Bill payment transaction using your Axis Bank Credit/Debit Card. Freecharge AXIS100 || Freecharge is here with another offer in which it is offering 50% cashback on First Recharge/Bill payment transaction using your Axis Bank Credit/Debit Card. Freecharge is trying to attract its users to itself by such fabulous offers . Grab these Now..!! How to 50% cashback on First Recharge/Bill payment transaction using AXIS100 ? 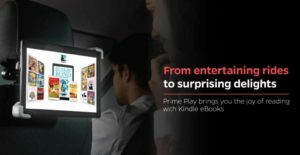 OLA in association with Amazon is back again with an awesome offer for their users, Now Claim your free Kindle credit worth Rs. 500 from Amazon. Offer is applicable for Ola Customers who receive this communication. The Offer should be availed before 11:59 P.M. (IST) on December 31st, 2017 and The promotion credit is valid until January 31st, 2018. So, hurry up!! How to Claim your free Kindle credit worth Rs. 500 from Amazon? 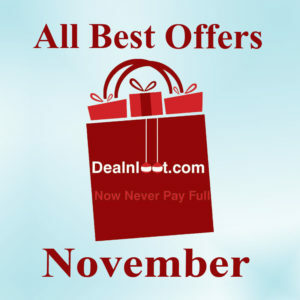 Special Post All Best Offers of the Month that Expire on 30th November. Don’t want to miss any offer or deal? Here we are with a special post in which we mentioned all best offers of the month of November that will expire on 30th November 2017. In this post we added all kind of offer, from recharge offers to food offers everything just in a single post. So, don’t miss this last chance to avail all best offers of the month of November that will expire on 30th November 2017. 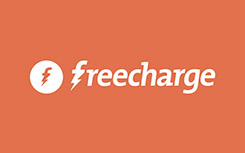 Freecharge is offering flat 10% cashback Electricity bill payment of Rs 10 or more. The best thing about the deal is that it is valid for all users and the maximum cashback is Rs 50. So, pay your bill now and get the cashback !! How to get 10% cashback on Electricity bill payment ? FreeCharge constantly sends account specific codes to our old Freecharge accounts and we don’t notice it sometimes. 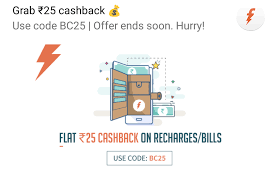 This time, Freecharge is offering Rs 25 Cashback on Rs 50 or above Recharge, But it’s an Account Specific offer, So its working only for few users who got Notification/SMS/Email. So Check your Email and see whether you are eligible or not. What’s the best way to enjoy delicious food at the comfort of your home without spending time in the kitchen or going out to a restaurant? Order Food Online ! Ordering food online without using a coupon is not a good deal. We Never want you to pay full. Choose your meal from a variety of restaurants online & Order food on the go, wherever you are. Get access to live status updates to track your food from the restaurant to your door. Now save money by using our exclusive deals, discounts, vouchers and coupons. 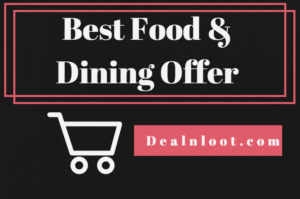 Checkout Best Food & Dining Offers in the post. Do you feel that sometimes when you need to order food Online, it becomes difficult for you to find the best deal to get some discount or cashback ? We have made it easy as we are here with Best Food & Dining Offers. Komparify is a recharge site which provides recharge and gift vouchers. Now komparify is offering flat 50% Cashback on Recharge on 1st three Transaction via Phonepe (max Rs 50). You can avail this offer thrice. So total cashback will Rs 150. So, hurry up!! “Update1- Dont choose Rupay debit card to make payment. I have used PNB rupay debit card but transaction is failed”. “Update 2- If your Money is deducted from phonepe and you have got your Rs 50 phonepe cashback too but your recharge is failed and you have not got your Recharge/GV. Then see Your Money in Komparify Points, Use your money from there”. 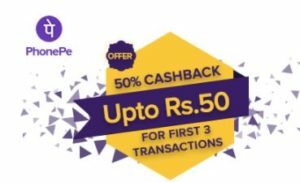 How to Get flat 50% Cashback on 1st three Transaction via Phonepe (max Rs 50) ? Paytm is developing its empire by regularly providing offers which keep us entertained and engaged with paytm . 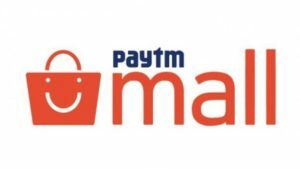 Recently it has launched Paytm Mall where they are providing great products at extensive discounts + This Rs 250 cashback offer . So Hurry.. Grab your favourite products Now..!! How to Get Rs 250 cashback on Purchase of Rs 800 ?